Someday, you might not have to worry about parallel parking or idling in smoggy traffic when traveling through cities. That’s because personal car ownership may not even be allowed in big cities in the near future. As the global population booms and climate change reaches dangerous new extremes, mayors across the world are recognizing that the social and environmental costs of personal car ownership have become too steep to justify. Excessive air pollution, endless traffic, and limited space have prompted urban leaders to pursue a new vision of what cities can look like in the future. The emerging model prioritizes public transit, bike lanes, green spaces, and car-sharing and taxi companies, and it’s also one that embraces artificial intelligence, data sharing, and renewable energy infrastructure. "Our goal is to align cities, the private sector and civil society around a shared vision to ensure we harness the good and avoid the bad of new business models and technologies,” said Robin Chase, Zipcar co-Founder, in a press release announcing the principles. “These companies represent some of the biggest players and we are thrilled to see we share common goals, like a commitment to zero-emission vehicles and efficient use of urban roads,” she added. The principles are hard to argue with on their face. They include things like pursuing zero emissions, efficient land use, making decisions collectively and equitably, and sharing data for urban planning. "At Uber, we believe the goal of reducing private car ownership is one we share with people and cities around the world,” said Andrew Salzberg, head of transportation policy and research at Uber, in the press release. “On its own, technology is not a solution for urban problems. But done right—and in partnership with others—we believe shared mobility has the potential to contribute to a better world for all,"
But achieving these principles would require an overhaul of how cities operate, according to Louis Missika, Deputy Mayor of Paris, who spoke on a press call hosted by the World Resources Institute, a sponsor of the principles. There could be 2 billion cars in the world by 2035 and since around 60% of the global population will be based in metropolises by then, the bulk of these cars could very well be in cities. That’s a frightening prospect for city planners. Cities like Mexico City, New Delhi, and Beijing have struggled with dangerous levels of air pollution for decades and adding more fossil fuel-burning cars to the streets could worsen the problem. Global Citizen campaigns on sustainable environmental policies and you can take action on this issue here. Traffic is another problem facing cities. In many cities across the world, commuting times are extended by more than 50% because of bumper-to-bumper congestion. All of this traffic also makes driving conditions more dangerous, contributing to the more than 1.3 million deaths that stem from car crashes each year. And as populations swell, cars are taking up an enormous amount of space that could be put to other uses. In some downtowns across the US, for example, cars take up to 50% to 60% of real estate space. Cars are bulky, polluting, and often dangerous and many cities have begun exploring ways to get rid of them. 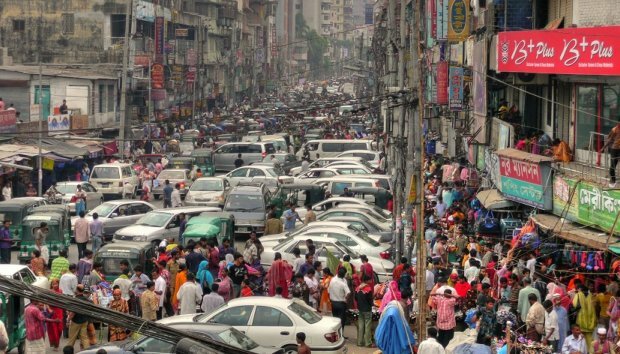 New Delhi and Mexico City regularly ban cars for days at a time when pollution gets too high and places like Paris, Barcelona, and Beijing have all put a deadline on the use of gasoline-powered cars. 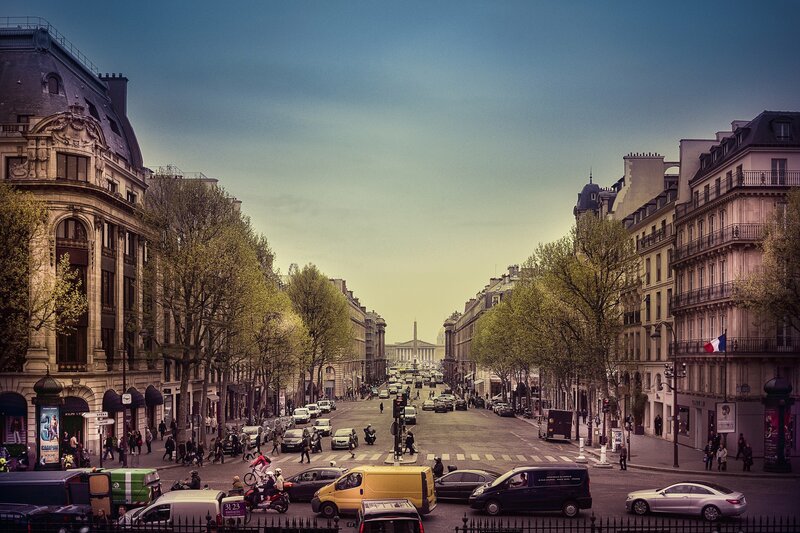 These measures are helping cities imagine what urban spaces without cars would look like. For Pittsburgh mayor Bill Peduto, who was also on the press call, this modern city would include expanded public transit, stop lights that have smart sensors to prevent idling, solar power charging stations along roads, expanded bike sharing infrastructure, and open data sharing policies so that all cars that remain on the roads are communicating with each other. And the cars that do remain on the roads would be part of community-sharing arrangements and taxi programs. That, of course, leads to questions of inequality. If the only cars available are through companies like Uber and Lyft, that would significantly disadvantage lower-income people. But the officials from Pittsburgh and Paris stressed on the phone call that these services will be both secondary to public transit and opened up to more customers through more affordable options, though it remains unclear how that would be achieved, especially when these companies are trying to write the rules of the cities of tomorrow. “We think it’s totally irresponsible to imagine future where individual transportation will replace collective transportation,” Missika said. Forward-looking mayors like Peduto see these companies less as beacons of inequality and more as harbingers for an era of greater mobility. “These ideas that are being promoted aren’t about what will happen in cities in the future, they’re about what is happening in cities today,” he said on the call.